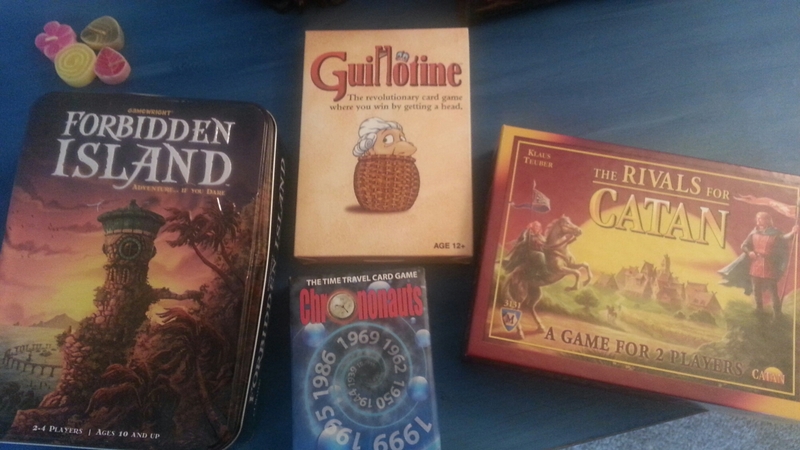 So as I mentioned whilst we had a lovely visit to Bloomington, I found a delightful games shop. A good old fashioned independent one. None of this glaring ‘one direction’ games but proper games! 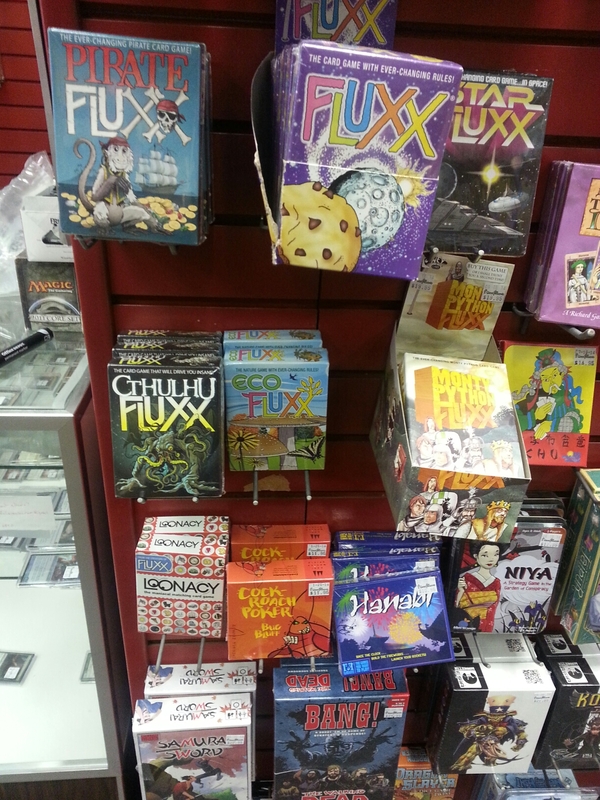 A friend of a friend introduced us to the card game flux over a rainy weekend, its a great game. So we purchased pirate flux and have spent many a fun hour in a pub avoiding scurvy and talking like a pirate. There are many other versions, Monty Python is a favourite, along with the game phase 10 – another gem from the makers of Uno, but be warned it might break you, especially if you play with more than 2 people! So whilst browsing the games in Bloomington I added to our collection. First up from the makers of Flux is Chrononauts, A smashing game that is infuriating because I’ve not won yet! I still don’t 100% understand the gameplay, but essentially you are a time traveller and you have three separate ways of winning. 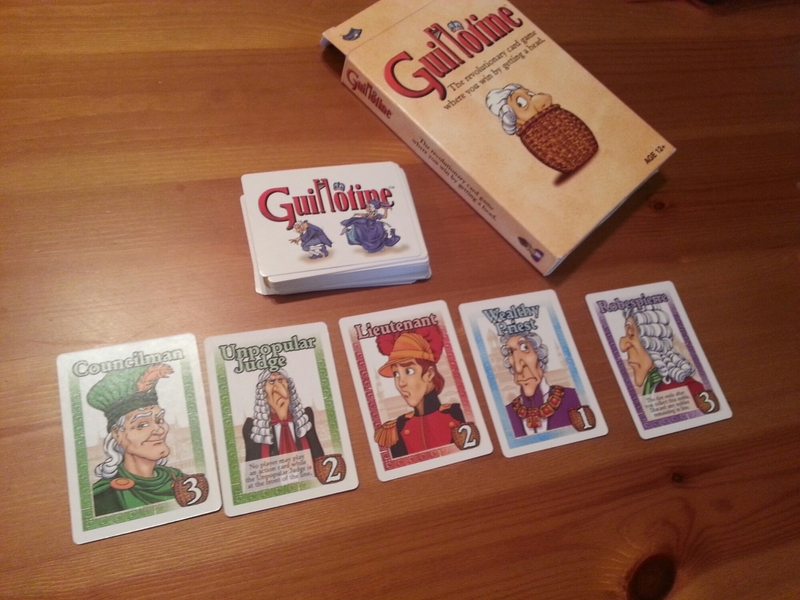 I also purchased Guillotine and have been playing lots ever since. This game is a simple card game where you want to collect as many beheaded heads as possible – that’s about as gruesome as it gets and is actually a lot of fun despite the rather dark humour. We’ve also been playing the card version of settlers of Catan. We’ve mastered the basic game and are now attempting to use the add on cards. So if you fancy an alternative to scrabble and have a rainy afternoon, I’d thoroughly recommend this as a great way to spend an hour or three! And let me know if you have any tips for winning at Catan or Chrononauts.